It’s not reasonable to observe the spate of open letters flying about in Nigeria in 2013 and think such attitude will fall in 2014. In fact, open letters and associated political forces will continue to generate heat as the country draws closer to the 2015 general election. 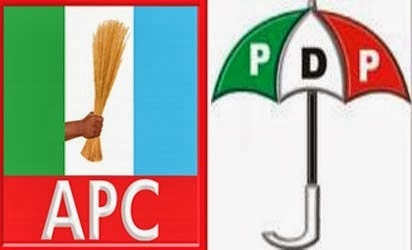 Apart from the five governors of the ruling PDP defecting to the opposition APC on Nov. 26 2013, on Dec. 18, the ruling party lost 37 parliamentary seats to the same opposition party. This is a collection of events some analyst call “things fall apart”. Nigeria’s political history and elections since democracy has generally been characterized with violence and it will take a miracle for such to quiet down going by the situation of things in 2013. The ruling party and the president will continue to face challenges and the greatest-ever will be in 2014. It is not only in Nigeria, similar issues are expected across Africa and we will recollect that even South African’s President Jacob Zuma was booed and jeered by South Africans during Mandel’s burial ceremony – a worrying sign for his African National Congress (ANC) as it heads for polls in about six months. Many Nigerians and also friendly foreigners agree that the country is facing various problems on political stability. Analysts see the major problem as that of national unity in an atmosphere of the rising profile of ethnicity and religious bigotry. The ongoing deadly ethnic-religious clashes in some parts of Nigeria and renewed militancy and oil theft in the southern Niger delta (put at between 100,000 (Chatham House) to 250,000 (Nuhu Ribadu Report) barrels of oil a day) continue to amplify the political divide thereby giving room for more heat in the polity. 2014 will not only be a critical year for INEC (who is expected to receive buoyant support in the 2014 budget), political parties are expected to hold their national conventions to choose their parties presidential candidates in preparation for the 2015 elections. We should be interested and look forward to how the commission will respond to emerging electioneering issues in 2014 with Ekiti and Osun governorship elections serving as a litmus test for the 2015 election. Not to forget to add that 2014 also marks 100years since the country's Northern and Southern protectorate was merged into one Nigeria in 1914 (i.e. the centenary). This will call for renewed global attention on Nigeria to see how the political climate is changing or challenging the history and aspiration of the people.